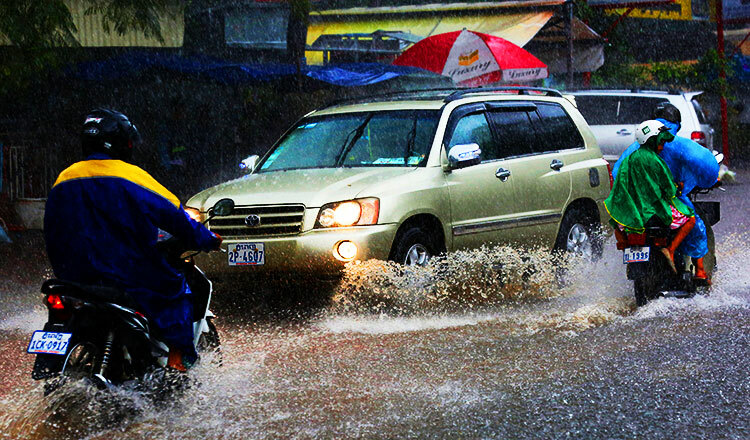 Nearly 400 houses across the country sustained damage caused by storms from Saturday to Tuesday, the Ministry of Water Resources and Meteorology said on Sunday, adding that rain would continue to fall until the end of this week. 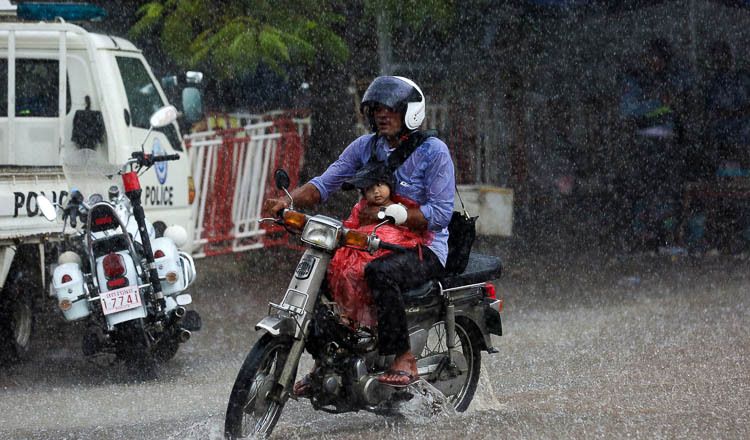 On Sunday, the ministry said Cambodia would be affected this week by a low-pressure system, which would cause an average-to-heavy level of rainfall throughout the entire country. The ministry appealed to people to be careful regarding thunder, lightning and storms, especially in north-western lowland provinces. 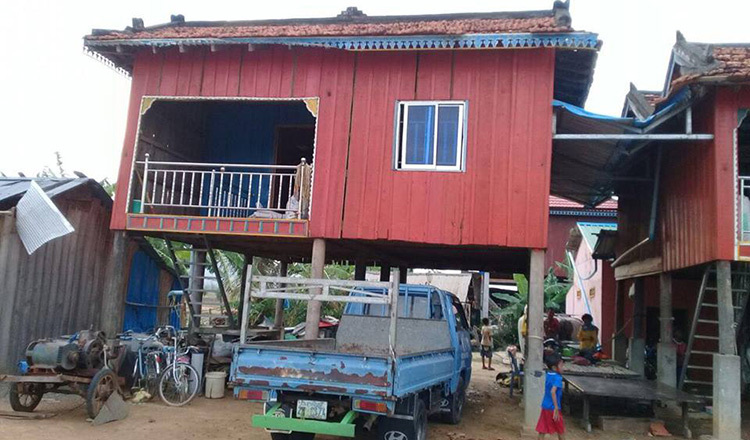 Keo Vy, a spokesman for the National Committee for Disaster Management, yesterday said that 375 houses were damaged from Saturday to Tuesday. 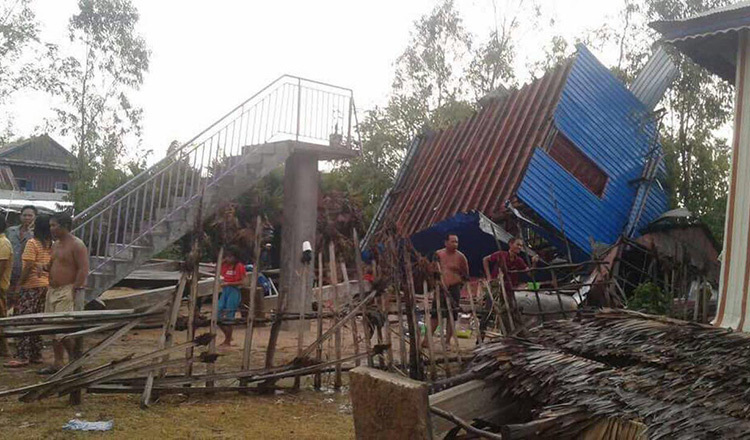 A total of 37 houses collapsed while 338 houses sustained roof damage. “Lightning killed one cow in Siem Reap province. No one was killed or injured but it affected people’s homes both lightly and seriously through each region,” he said. 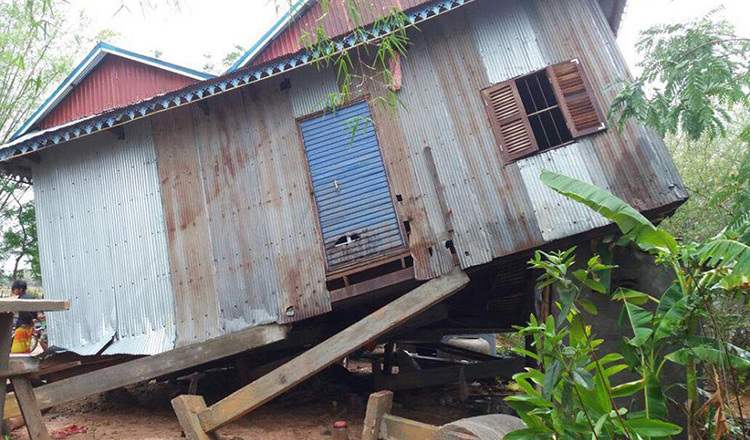 According to Mr Vy, the storms affected people’s homes in Phnom Penh and in eight provinces including Pursat, Siem Reap, Banteay Meanchey, Preah Vihear, Prey Veng, Ratanakkiri, Svay Rieng and Kampong Speu provinces. 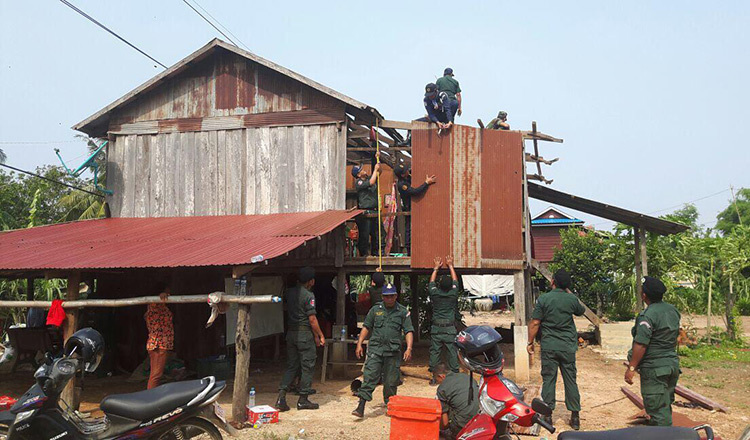 “After the incident, in some provinces, the police and military forces went to help repair people’s homes gradually, and the Red Cross and provincial authorities have also been continuously providing food and supplies,” he added. 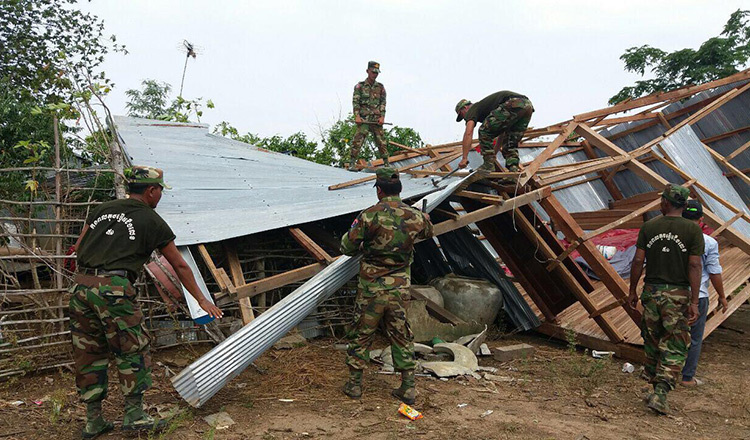 Ath Khem, police chief of Banteay Meanchey province, said Sunday’s storm destroyed many houses in Poipet city as well as Mongkul Borey, Ou Chrov and Malai districts. “After receiving this information, provincial police forces and military forces cooperated to help people relocate and repair houses for people affected by the storm,” he said. 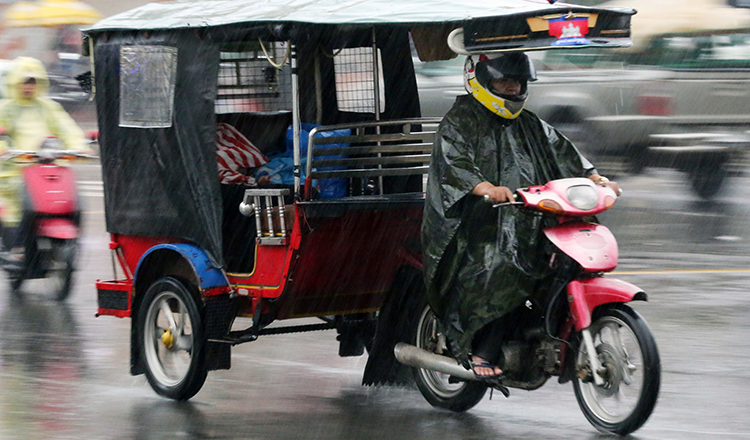 The ministry yesterday said that rain will continue across the country until Saturday, and the maximum temperature will drop to between 30 and 31 degrees Celsius from now until the end of April. According to an NCDM report, in 2017 natural disasters, including storms, lightning and flooding, killed 103 people and 74 cows, injured 119 people, affected 2,000 families, and damaged thousands of houses, state public buildings, crops and infrastructure. 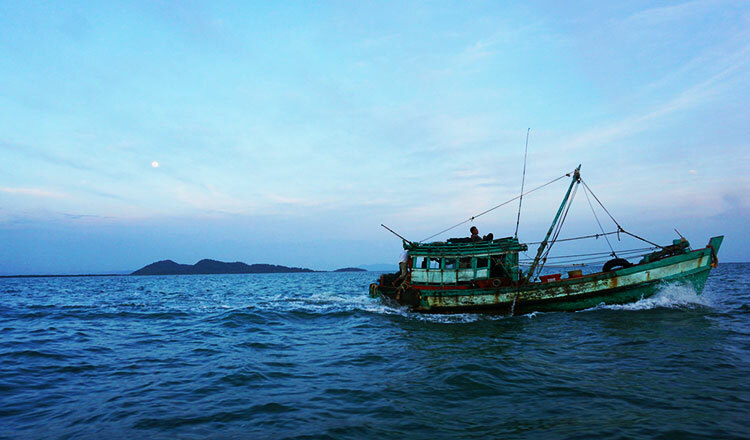 Authorities asked fishermen to suspend their work.